VIDEO: Healthcare Expert, "I've Never Seen Such A Disorganized Medicaid System In My Life"
Louisiana has the most disorganized Medicaid system in the United States, according to Dr. Ted Topolewski, who has overseen hospitals in more than a dozen states over the past 20 years. Dr. Topolewski, current CEO of the Madison Parish Hospital, testified before the House Fiscal Review Committee on January 25th, 2018. Dr. Topolewski was joined by the State-appointed Fiscal Administrator of the hospital, Donald Frutiger. Madison Parish Hospital became a financial mess in 2015 and the State of Louisiana took it over as a reclamation project. In 2014, Madison Parish Hospital was caught receiving almost $2.5 million in Medicare & Medicaid overpayments due to fraudulent billing practices by the former administrators. The former CEO found himself in prison for healthcare fraud. Topolewski took over in late 2014 and the Attorney General’s office helped navigate a path to getting a reimbursement plan, to Medicaid & Medicare, worked out by bringing in a third party to manage the hospital. It was also in 2014 that the AG’s office decided to bring Frutiger on as a Fiscal Administrator. Frutiger has the power to overrule the hospital’s board on behalf of the state. Seemingly, Frutiger and Topolewski have righted the ship in Madison Parish and boasted of nearly $10 Million in reserves at the committee hearing with the debt to CMS being evaporated at an acceptable pace. As far as public hospitals go – which happens to be one of the largest wedges in the state’s general fund – Frutiger and Topolewski are experts that should be listened to by the tax payers. And what light did they shed on billing problems with Medicaid during the January 25th testimony? They gave the citizens a firsthand account of how Louisiana’s newly expanded Medicaid Program (thanks JBE & Obama) is a disorganized mess. “I’ve run hospitals in many states…probably at least a dozen,” said Topolewski. “So I’m comparing this Medicaid system to other Medicaid systems, and it may not be politically correct to say this, but I’ve never seen such a disorganized Medicaid system in my life “. Dr. Topolewski goes on to describe how Louisiana has five different Bayou Plans that pay Medicaid bills – the Jindal administration created those five through partnerships with health insurers, in hopes that competition for market share within Medicaid would drive prices down – but those five bureaucracies have little consistency. Hypothetically, he suggests, that if he were to send the same bill to all five billing systems he would get five drastically different payable amounts. The red tape and inconsistencies suggest a state government healthcare system full of chaos (it turns out that the missing element in the competitive mix is the treatment of the payor; the state cuts those checks no matter how Byzantine the administration of the plans may be). But don’t you dare try to find savings in Medicaid, say Gov. John Bel Edwards and Louisiana democrats! Edwards made initiating Obamacare’s Medicaid Expansion one of his first orders of business upon moving into the Governor’s Mansion. 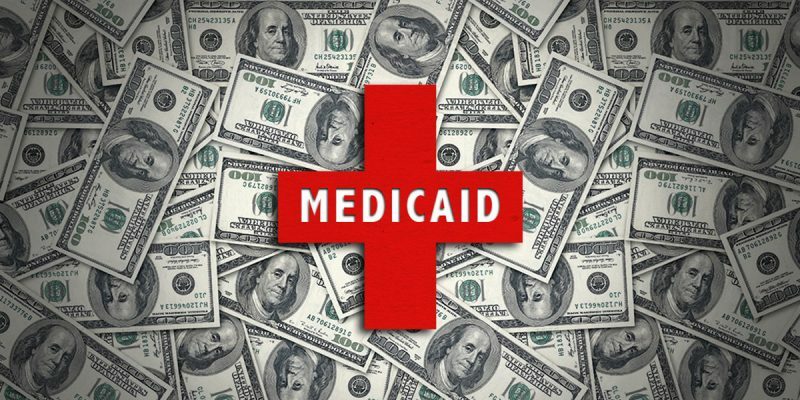 But with rising healthcare costs and unclear federal and state responsibility protocols, Republicans have always shouted from the beginning of 2016 that Medicaid Expansion would add a huge fiscal note to the state budget – and worst of all to the discretionary fund, where under our current broken budget system, the state simply can’t afford increased spending. Chaos is expensive. Dr. Topolewski describes what we should have expected all along and who in this sad state could really be surprised? And now, with even Republicans in Washington too squeamish to pull back Medicaid for the “working poor,”Louisiana may just as well get used to this chaos. Previous Article By The Way, Did You See What The Legislative Fiscal Office Did To JBE’s Tax Hike Plan?